Vision: An exceptional tennis club for members of all ages and abilities. Mission: To provide an exceptional and comprehensive tennis experience for our members along with the opportunity for social, fitness and family activities. Central Park Tennis Club is the premier tennis club in Kirkland, Washington. Established in 1972, Central Park Tennis Club is a member-owned club that is completely dedicated to tennis. 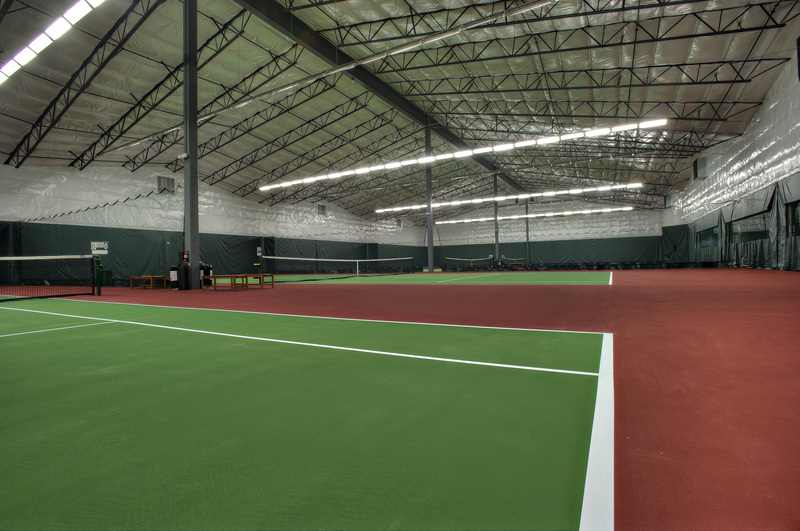 With state-of-the-art tennis facilities including 18 courts (12 indoor & 6 outdoor), CPTC prides itself on being the "Tennis Player's" Club. CPTC currently holds the title of the largest member-owned hard-court indoor tennis club in the country. CPTC offers tennis for all ages and abilities. Its well recognized junior program starts with children from age 3 and goes up through the age of 18. Some of the top ranked players in the country, like Henrik Wiersholm who was nationally ranked as a junior and now plays for the University of Virginia and Emmett Egger who was the number one recruit for the University of Washington Huskies and second ranked 18 year-old in the country in 2011, call CPTC home. The tennis staff is comprised of a group of the most diverse and skilled professionals of their craft; they are developing life-long tennis players by sharing their own appreciation and passion for the game. While tennis is its primary focus, CPTC offers completely equipped and staffed workout facilities, locker rooms, massage, an outdoor swimming pool, and food services. Come visit us in Kirkland today!